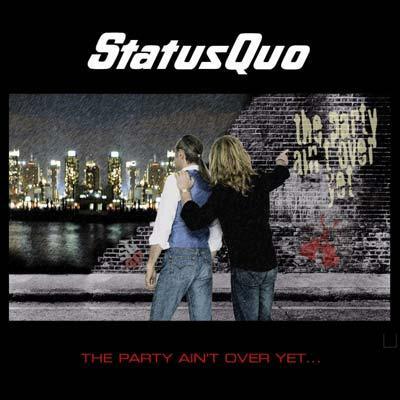 Status Quo - "The Party Ain‘t Over Yet"
As you know, everything comes to an end. But listen: The party ain't over yet! At least, that's what claims the title of the STATUS QUO DVD, which will be released by Warner in early November. "The Party Ain't Over Yet" say singers and guitarrists Francis Rossi and Rick Parfitt, bassman Rhino Edwards, keyboarder Andrew Bown and drummer Matt Letley. And those, who see the concert recording on the DVD , will believe them. The carreer of STATUS QUO absolutely deserves deep respect. These days, while celebrating their 40th (!) year on stage, they are about to release their 33rd album "The Party Ain't Over Yet", followed by the DVD of the same name - Dont miss this party!! !